A new brand for Oi Polloi, Homespun make antique styled men’s knit tops, inspired by the designer’s collection of depression era undershirts (bit strange, they made us happy). 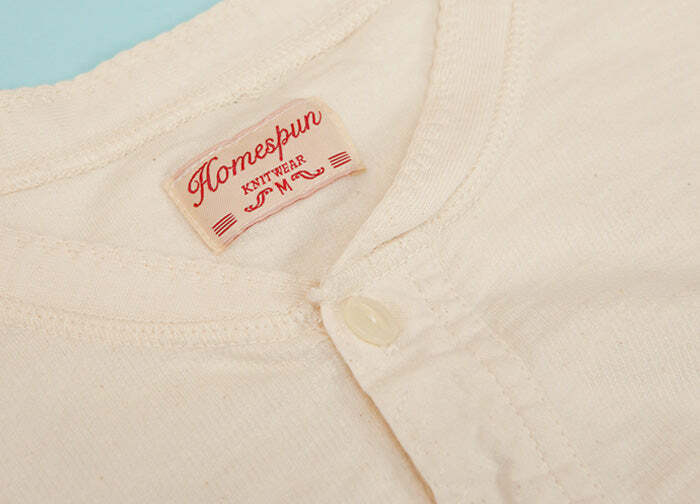 Made in Canada from Japanese milled melange fabric, utilising old-fangled production equipment (they don’t make ‘em like they used to), Homespun represent enduring style and quality. This kind of considered, craftsmanship only comes from people with passion for what they do. Homespun evidently sit in this category.